About once a year or so, I get an itch to write about a specific character in this section, rather than just talking about an archetype that breaks conventional RPG stereotypes. A character who stands out to me, in some way, and which I think folks would be interested in. In this case, I thought I'd share the fellow I drew the last time my craft night group got together. Because if you've got a picture, you should have a thousand words or so to go with it. Dwarves have their stereotypes. They're hardy, taciturn, industrious folk who keep to themselves, bear long grudges, and who tend to be miners, craftsmen, and artists in their own, unique ways. Or, at least, that's what folks who don't live among dwarves tend to think of when they come up in conversation. But, like any people, they are unique and varied, with outliers even among their own cultural norms. One of those outliers was Alistair Rockhammer. Born in the Sky Citadel of Kraggodan, Alistair was a middle child of three. His father was a smelter, and his mother a wizard who specialized in the repair and maintenance of enchanted items. They were well-to-do enough that the children were allowed to pursue their own paths... which in Alistair's case was mostly causing minor mischief and avoiding anything that remotely looked like work. As he grew, though, he developed a peculiar talent; he could always tell when something was genuine, or fake. No fool's coins ever made it into his purse, and he made a small name for himself in detecting forgeries. Of course, he couldn't stay on the straight-and-narrow for too long, and he eventually started vouching for poor-quality items that he knew were fake. This tanked his reputation, and he managed to leave Kraggodan one step ahead of the scandal. As a young dwarf with little in the way of trade skills, Alistair had to rely on his wits to see him through. He managed to make his way through Nirmathas relatively unscathed, and he took passage with a caravan into Varisia. With barely two silver pieces to rub together, he found himself in Korvosa. While he hadn't been much of a trail hand, and he was an even worse woodsman, Alistair knew cities. There was opportunity there, if he followed his nose. Alistair made friends in Korvosa, and part of his trade was picking the wheat from the chaff in the black market. His uncanny talent for spotting a forgery served him well, but he also came into contact with several students from the Acadamae's Hall of Crafting who were trying to offload their work. Many of them had been technical successes, but the spells had been woven just a little too poorly to do what the creator wanted. Knives that grew sharper in darkness, shields that would only safeguard those with elven blood, or rings whose protective powers faded at sundown. Alistair helped find homes for all of them, while sniffing out the fakes, phonies, and utter failures. One of his clients, who had a particular proclivity for shiver, was always running low on funds. So when he'd run out of goods, he offered Alistair something else; admittance and protection in the Acadamae. On a lark, Alistair accepted his acquaintance's offer, despite the fact that he was older than any three or four students combined. With his eclectic knowledge of magic, and his grifter's mind, Alistair quickly carved a niche for himself in the Acadamae. Dealing in rare spell components, connecting tutors with hopeless cases, and even managing a short-lived imp-control service installing wards on student dorms in exchange for future services. While he was never what one would call a brilliant student, Alistair managed to do well enough that he was never thrown out of the Acadamae. 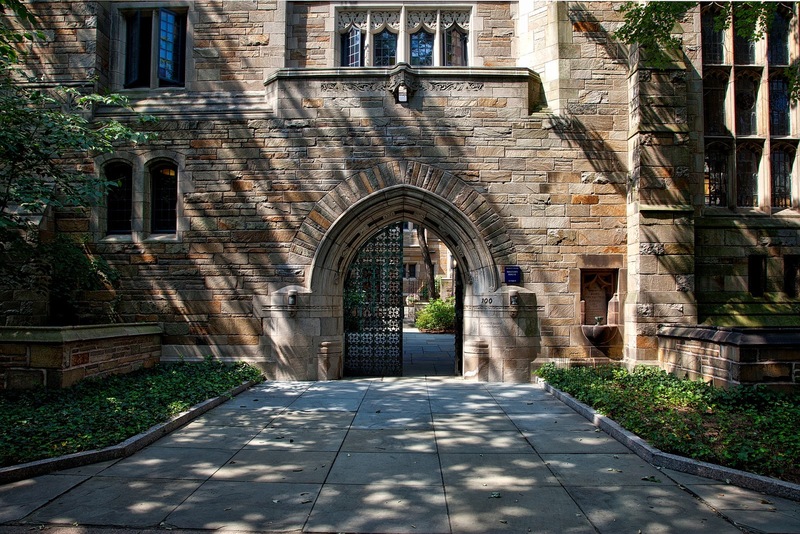 It helped that there always seemed to be a student or professor who spoke up for him, though their endorsement often came as a result of cashing in a favor rather than from affection or admiration. For all he'd learned while a student, though, Alistair hadn't truly changed since he'd fled Kraggodan two steps ahead of having "slag" appended to his name. So when it came time to complete his summoning to prove he'd truly mastered conjuration, he cut a corner or two. So while he managed to summon an impressive specimen, he wasn't quite able to contain it properly. While not unusual in the Hall of Summoning, Alistair managed to banish the thing before it could do too much harm... but not before the fiend's teeth mauled his left hand, leaving him with a barely-functional stump. Alive, if maimed, it was decided that he'd done well enough to be considered a graduate (with the urging of many who wanted him out the door with as little pomp and ceremony as possible). Once his wounds had been bound, Alistair left the Acadamae... but not before conducting one, last ritual. Something small, and simple. Because every good conjurer of cheap tricks needs a partner in crime... and when Alistair heard of a fellow classmate whose sickly green rabbit wouldn't stop spitting acid globules at him, the dwarf knew he'd found a kindred spirit. He just had to bind them together before taking the next step in his journey with his new friend Hoptail. Losing his hand had been a blessing in disguise for Alistair. With an iron hook affixed to the stump, he found that magic was the best way to handle the challenges of his everyday life. As such, even spells that would once have been a trouble for him became second nature. Aside from growing more skilled, and acquiring an acid-green rabbit with a chip on its shoulder who always seemed game for a bit of smoke and mirrors, Alistair decided to really see what else the Inner Sea had to offer. 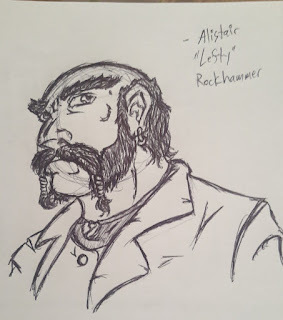 Whether he was a mountebank in a carnival, a journeyman wizard leaning on the reputation of the Acadamae to open doors for him, or just a treasure hunter looking for the next big score, Alistair "Lefty" Rockhammer is a man who wears many hats. That's all for this month's Unusual Character Concepts posts. Next time around, I'll be back to my usual format. If you'd like to see more of my work, then check out my Vocal archive, or stop by the YouTube channel Dungeon Keeper Radio where I help out from time to time. To stay on top of all my new releases, follow me on Facebook, Tumblr, and Twitter. Lastly, if you'd like to help support my work so I can keep making great content just like this, then Buy Me A Ko-Fi, or drop a buck into The Literary Mercenary's Patreon page. As thanks, I've got some sweet gaming swag I'd be happy to send your way!